The historic Las Ramblas del Sycamore, upper front, large and very unique casita penthouse. Two Bed / Two Bath, formal dining with small balcony, living room with mission ceilings and corner balcony, front facing bedroom with ensuite original deco-tiled 3/4 bathroom, Master Bedroom has direct access to terrace with fireplace. Monitored entry property. Washer/Dryer in unit. Stainless appliances. Hardwood floors. High ceilings, leaded windows, great lighting and architectural details. Note: On the adjacent property to the south, there will be demolition and construction of new homes, there is no known schedule at this time and there would be no additional considerations. Location is stellar. Casita is stellar. Parking for one car in a garage and permit neighborhood. Available @ $4,250. At some point in the near future, details unknown at this time, the property to the south of this property, is due to be demolished and construction shall commence on a replacement. Keep that in mind when making a decision to lease this property. There would be no credit or compensation regarding this situation, it is totally out of our control. Please note it may or may not affect your quiet enjoyment. historic Las Ramblas del Sycamore, 511 North Sycamore Ave. Upper-front large 2 bedroom / 2 bathroom, formal dining, one large terrace with fireplace, 3 step out balconies. 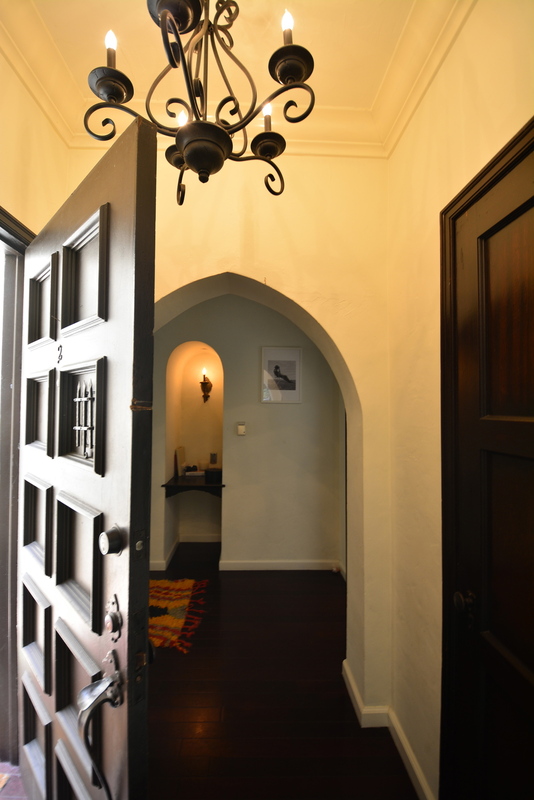 Dark hardwood floor, high ceilings, antique Spanish terra cotta tiles, great architectural details and lighting. Yes, truly a one-of-a-kind on tony North Sycamore.